If you have already booked our DJ Services for your wedding, please fill out the Reception Info Form approximately one month before your wedding date. For those customers that have also booked our services for their ceremony, please fill out the Ceremony Info Form approximately one month before your wedding date. 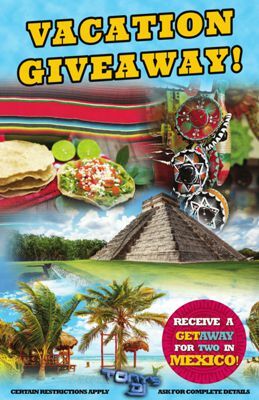 Receive a Getaway for Two in Mexico! Only brides and grooms that have purchased the Platinum Package plus the Ceremony are qualified for this getaway offer. For more info, please contact us.